By 2020, Cat's Pride hopes to donate 20 million pound of litter to shelters across America. Sign up to nominate your favorite shelter today and start changing Litter for Good. 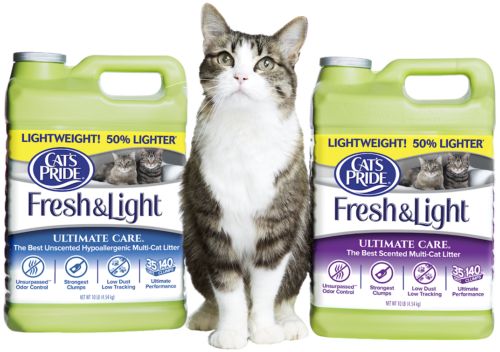 Join the Cat's Pride Club to receive emails with special coupons and cat tips, to nominate your favorite shelter for free litter, and more! By entering my email address, I agree to receive emails from Cat's Pride and Oil-Dri Corporation. Collected information will not be shared with any third party and complies with Cat's Pride's Privacy Statement.